Seton's Protective Sleeves are backed by our 100% Satisfaction Guarantee! Select from a wide variety of Protective Sleeves at competitive prices. Plus most of our top-quality Protective Sleeves are in stock and ready to ship today. Multi-functional nitrile gloves offer superior hand protection. Versatile and durable, these gloves are great for a variety of applications. Check out Seton’s selection of top-of-the line and industry-leading brands of disposable nitrile gloves! No need to choose between productivity and protection - when it comes to disposable safety gloves, we’ve got you covered! Seton offers disposable gloves in different materials and sizes to suit a wide variety of applications. Industry-leading Kimberly-Clark Disposable Gloves are your best bet when it comes to reliable hand protection. Seton’s wide selection of textured and powder-free disposable gloves can guarantee excellent tactile sensitivity! 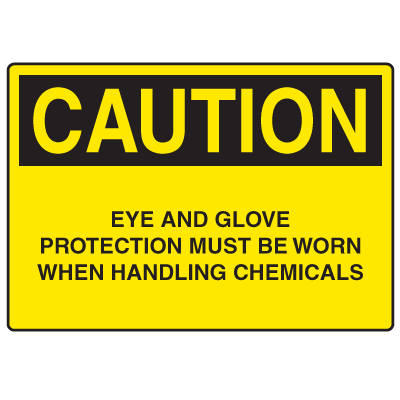 Gloves right-to-know pictograms use easy-to-understand symbols to quickly provide personal protection instructions.